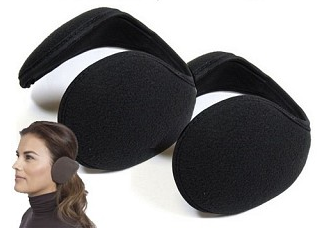 Behind The Head Ear Muffs Just $2.99 PLUS FREE Shipping! You are here: Home / Instagram / Behind The Head Ear Muffs Just $2.99 PLUS FREE Shipping! I love these, I won’t wear a hat or hoodie because it just messes with my hair, but, these would be great! What a great price, too! You can get these behind the head ear muffs for just $2.99 PLUS FREE shipping! They are going fast, so HURRY!